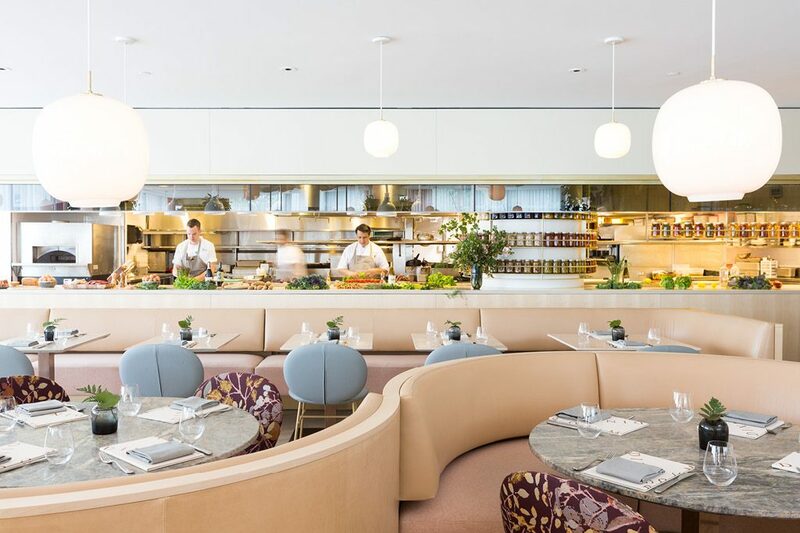 Since April, Chef Hector Laguna has served inventive dishes like hand-cut beef tartare topped with rich Parmesan foam and a smoked egg yolk at the Fairmont Pacific Rim. For dessert, try a fluffy beetroot cake with gewürzstraminer gel and frozen elderflower foam. High-concept cocktails include the Candy Cap Magic drink – mushroom-infused rye, vermouth, and spiced maple sugar topped with a snippet of moss. The wine list is terroir-driven.